With Lucidchart, an essential visual productivity platform, you can help your clients understand and share ideas, information, and processes with clarity. We invite you to join us as we use the power of visualization to accelerate understanding, improvement, and innovation across every company. Schedule Lucidchart product and sales trainings with your partner manager for your team and gain access to exclusive sales and marketing enablement materials. 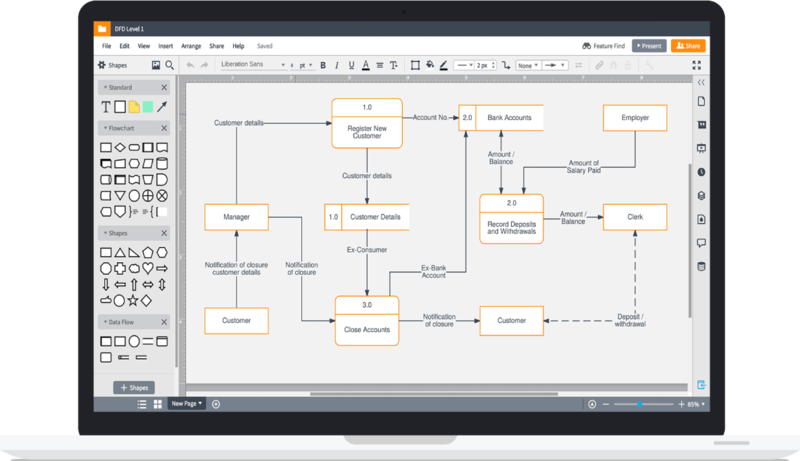 Work with your partner manager on an ongoing basis to identify ways to add Lucidchart to your suite of services and products and to sell Lucidchart as a solution for your clients. GetConnected is an italian Atlassian Solution Partner that provides tailor-made solutions based on the Atlassian suite, starting from client needs and managing projects from initial analysis to post-production activities. Ingredients: high-level consultancy and certified development skills of our teams. Our primary goal is customer satisfaction! Isos Technology is a premier Atlassian Platinum and Enterprise Solution Partner and was recently recognized as the Atlassian Partner of the Year 2017 for Jira Service Desk. We help our clients, both private and public sector, adopt the Atlassian tools for DevOps, ITSM and Agile development and business processes. Our process experts, coupled with a world class technical team, craft custom solutions, integrations and training for our clients. Isos also has a strong software development team that delivers custom solutions across a wide array of industries to help solve some of the toughest business problems. Isos is based in Tempe, Arizona with satellite offices across the US, from San Diego to Washington D.C.
Praecipio Consulting helps businesses enable DevOps transformations to release better software, faster. Specializing in IT processes, best practices, and ITIL, SAFe, and ALM frameworks, Praecipio Consulting has achieved an overall NPS score of 68 and year-to-date 76 (industry average is 31). As an Atlassian Platinum Solution Partner, Praecipio Consulting provides product licensing, training, managed services and managed hosting, and custom development for the Atlassian suite. Ricksoft Co., Ltd. is one of the top Atlassian Platinum Solution Partner in Japan. Our company is authorized with high training and provide the Atlassian products /High-Quality services to worldwide. We are one of the few certificated ‘Enterprise’ partners by Atlassian's in Japan. ServiceRocket is trusted by thousands of enterprises, helping them get the most out of their software and transforming the way they do business. We do this through training, implementation and support services and products. As Atlassian's first and longest-serving Platinum Solutions Partner, ServiceRocket has worked with over 5,000 enterprises, trained over 50,000 students and built some of the most popular Atlassian add-ons including the Connector for Salesforce and JIRA. ServiceRocket has SOC2, Type One-certification and is TRUSTe - EU Safe Harbor certified.